In order to combat drug store robberies, local pharmacists are taking matters into their own hands. 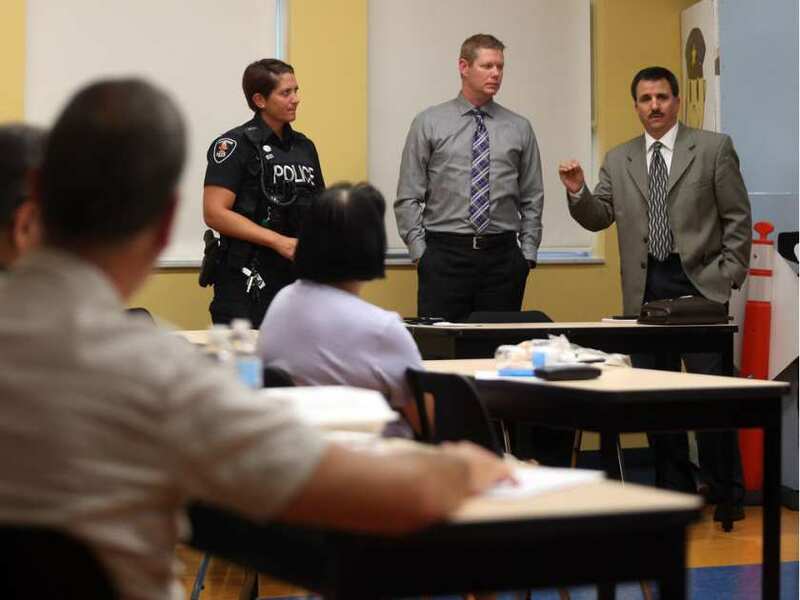 Pharmacists met with Windsor police and the OPP on Thursday for the first time to discuss ways to prevent robberies by people looking for cash and drugs. The frequency of robberies throughout the region has many local pharmacists worried. On May 17, Windsor’s Hunter Pharmacy was robbed at gunpoint after two men ordered five employees to the ground before stealing narcotics and taking off. Hearing about these incidents and a personal experience drove pharmacist Heather Landry to attend the workshop. Even weeks after the frightening incident, Landry was still looking out the window nervous and alert. Foley said the information session at The Safety Village was the first of many discussions on the issue. They’re looking at safety measures and possible security enhancement initiatives for pharmacies. One idea coming from B.C. is to make it mandatory for all pharmacies to have time-delayed safes, said Foley. Access to the drugs inside these safes is not immediate, even if staff members enter the code. The purpose of the safes is to deter thieves from targeting pharmacies in the first place. Windsor’s police Chief Al Frederick added that Thursday’s meeting was a crucial step in dealing with the issue. The discussion is extremely important in opening conversation about the issue and raising awareness, said Foley, who’d faced threats during her first week working as a pharmacist in 2012. The experience made her feel afraid to come to work. “I felt very much at-risk but it showed me that we do work in an environment that does hold risk and that’s something we usually don’t talk about,” she said. Foley believes that pharmacists need to be involved in discussions regarding increased crime related to drugs and narcotics.